The American Medical Association (AMA) made a full court press to kill ICD-10. The Oklahoma delegation went as far as bringing forth a resolution calling for physicians nationwide to boycott ICD-10, a proposal that was so preposterous that it was eventually not even debated by the delegates. 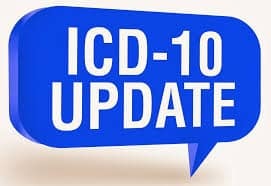 Citing that ICD-10 is too complex and too voluminous for physicians to adapt to, the AMA made a spirited push for a two-year transition period following implementation. Consensus was finally reached on a one-year grace period during which providers cannot be penalized for coding mistakes in ICD-10 reporting. The president of the AMA, Steven Stack, MD, has conceded that implementation of the ICD-10 code set is imminent on October 1, 2015. To secure this admission from the AMA, the Centers for Medicare and Medicaid Services (CMS) have agreed to several policies about navigating the transition, including claim denials, quality reporting, and payment disruptions. CMS has announced that for a period of one year following the implementation of ICD-10, claims will not be denied or audited simply for specificity. While coding the diagnosis to the correct level of specificity is the ultimate goal, this elbow room will mean that as long as the code is from the relevant family of ICD-10 codes, physicians will not be penalized for value-based payment (VBM) modifiers or meaningful use (MU) due to specificity of diagnoses billed under Part B physician fee schedule. This does not, however, exempt physicians from all coding errors and mistakes; it simply clarifies that the use of unspecified codes is allowed, as stated in ICD-10-CM Official Guidelines for Coding and Reporting. In addition, CMS will also not penalize physicians for the Physician Quality Reporting System (PQRS). Furthermore, CMS has authorized advance payments to physicians if contractors are unable to process claims due to ICD-10 related administrative problems. To aid physicians and practices with the new ICD-10 code set, CMS will continue to offer resources including a communications and coordination center where an ombudsman will help to quickly identify and initiate resolution of issues arising from the transition and implementation of ICD-10. In addition, an eligible professional (EP) will not be subjected to a penalty if CMS experiences difficulty in calculating quality scores for PQRS, VBM, or MU during the transition period in the program year 2015. With the AMA and CMS now working together, ICD-10 is inevitable, but the healthcare community will no doubt welcome the elimination of ambiguity and conjecture. Physicians and practices can feel more confident about the impending implementation of ICD-10 with this year-long grace period that will allow them to transition and train effectively to choose and document the appropriate codes.